Sillhouette Threads are absorbable threads that are placed in the subcutaneous fat and cause minimally invasive skin lifting while improving the quality of the skin in the areas where they are placed. Thread lifting is not a “universal” anti-ageing solution but short of a face lift, it can be viewed as a missing link between conservative and surgical procedures. Thick or medium thick skin(not figuratively). This is the reason why in some of our packages we perform a Radiesse filler/collagen inducer skin wash that causes skin thickening. 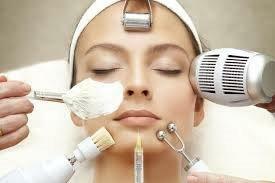 Alternatively, PRP (platelet rich plasma) can be used to increase dermal/epidermal thickness. This is done about 4-6 weeks prior to the Sillhouette lift. The subcutaneous fat has to be in the “medium range”: too much will not allow the lifting; too little can make the threads visible. There should not be excessive redundant skin. Since they first appeared on the market, the Silhouette threads, made in US, have become very popular and we perform them quite often in our practice. We have now become more experienced and confident to use them in either” open /end” way(the threads support the skin and are anchored to the subcutaneous fat, moving with the skin) or in a “fixated point” way ( threads are anchored to a fixated point). 2. The after 3 months: it takes about 3 months for the threads to achieve the optimal aesthetic effect. Thread lifting is a very safe and effective procedure to achieve subtle but important skin lifting of the cheeks, jowls, neck, brows. It is important that the patients have realistic expectations and understand that the lifting procedure is unlikely to restore the facial volume. Its main indication is to reposition the sagging fat compartments of the face. To the patients needing lifting and volumisation, we offer a Stretch-Filler Lift to create volume which will stretch the skin with subsequent thread lifting. Proper patient selection is crucial and potential candidates must book an appointment with Dr Bitlan in order to confirm suitability and quote the price of the procedure. Patients have different cosmetic needs and it would be wrong to quote the price of the procedure: we need to know how many threads we use, how long they should be and if additional procedures are necessary to maximize the outcome. Please contact us and book an appointment if you are interested in the latest cosmetic procedures and the best way to combine them.